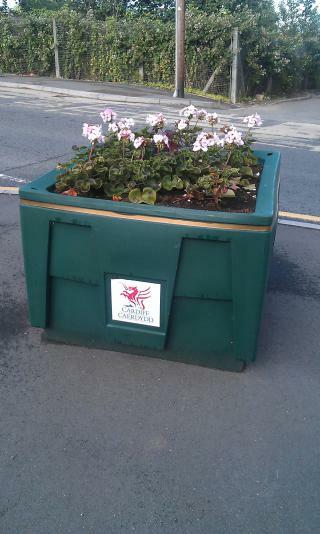 Cardiff Council places many floral displays of different sizes and types during the summer. They look OK, but why not plant edible species instead? This would provide planters that look good as well as give back to the council tax payers by allowing them to harvest fruit, veg and herbs. Too expensive you say? Why not appeal to community gardens, allotmenteers, schools, youth groups and community organisations and gardeners to grow the plants needed? I would and I'd bet many others would too.